A collection of elliptical stories in which death throws a long shadow over an eclectic group of characters. Sparks has no fidelity to realism; she plays with both fantasy and form. No one story sounds like another, yet her singular voice floats through the collection, tying it together with opulent prose that draws heavily on history and the macabre. Sparks recognizes perverse mythology uncovers the most innate truths about human nature and connection. When the stories you’ve been told aren’t enough, make up your own. Forged in an evocative and sensual fire, these tales transcend tradition to shine new light onto timeless complications. Ranging from flash fiction to longer pieces, Sparks’s stories beautifully explore how there are 'never enough endings' for anyone — or that perhaps, in fact, one’s life is always unfinished. 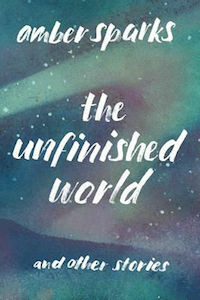 What did you think of The Unfinished World?